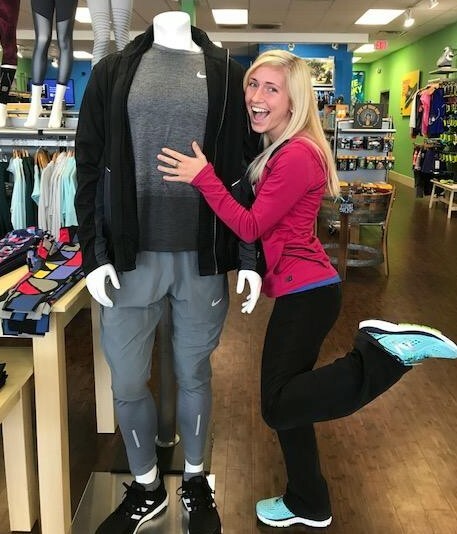 Shannen is no stranger to Fleet Feet, having transferred from Nashua, NH Fleet Feet to join her boyfriend Dylan who is stationed at Charleston Air Force Base. A life-long runner, Shannen coached Cross Country and won multiple state championships at Pelham High School (NH). One of her hobbies and passions is helping out with special needs kids. She has first-hand experience as her brother has autism. Shannen helps coach Special Olympics athletes in track, swimming and baseball. She also loves the beach, which makes Charleston a perfect location for her. A dog-lover as well, she has two Italian Greyhounds named "Rock" and "Roll".